There is no more perfect measuring tape depicting the divide between those who desire government as usual and those tired of the monster in Washington D.C. which has been named the “Deep State” which envisions minions of the state huddled in their offices and cubicles making rules for the rest of the nation without any recourse by the people to select or remove these bureaucrats. This has been an existing threat to the freedoms and liberties of every American for decades. 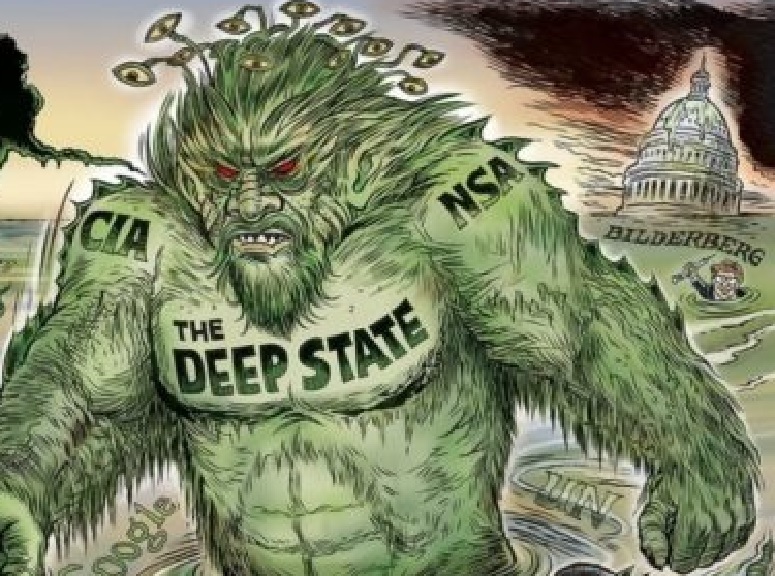 Some ask where did this “Deep State” originate and how did they gain so much power and influence over even everyday life? That is an interesting question which brings to light the bad attitude many lawmakers really have for their constituents. This story starts as a result of gross mismanagement of the economic front combined with the demands of World War II imposed atop the former problem. The first person to go on the record and warn the people of this growing threat was, from an unsuspected person, President Dwight David Eisenhower. President Eisenhower had probably one of the deepest understandings of how the government functioned and how the unchecked growth in the Federal Governmental Powers would eventually lead to an oppressive state where the rules had become so complex and often contradictory that anybody could be arrested for even the most casual and daily activity. Between his serving as the Commander of all Allied Forces in the European Theater, he learned the tact needed to work with the political; and as President, he came to envision the potential that the Federal Government could grow to threaten the people and the nation. He referred to this threat as the “Military Industrial Complex” but he saw deeper as mentioned in his parting speech given as he prepared to leave office and retire from public life, which we have included below. This additional threat he foresaw was for a technological elite who through computing power, money and control over information would hold the power to control much of life and even potentially take dictatorial control enslaving even the governance of the country reducing the people to pawns they moved as they desired. This short speech is well worth watching as President Eisenhower hits the nail on the head explaining the potential problem which has slowly come into focus and we are witnessing today. Today, we have as President a non-politician Donald J. Trump, a figure who has proven to be divisive unlike any before him. He managed, as has every Republican from Eisenhower forward, to alienate the Democrat base and their far left set. Trump has also managed to distress the elite Republican guard, also known as the Country Club Republicans who mostly reside in New England but run for office in states such as Texas, Utah or anywhere else they may have a second or third vacation home. Then the far right has become disenchanted with Trump, as he has not turned out to be the hateful White Supremacist they had desired. This is one group which President Trump gladly refuses to give cover as their actions for hating others is repugnant to him. We realize that there are a fair number of people who like to believe that President Trump is aligned with those hate filled people of the far right, but President Trump has nothing for those hate-filled people on the far right any more or less than he feels about hate-filled people on the far left. There have been a few actions by President Trump which have been for the betterment of the American public, though some will deny this with every ounce of their energy. These liberating actions, though, will only prove helpful if the people actually observe, learn and then act upon what they have learned and observed. The biggest item on this list is the revelation of the “Deep State” which is the fulfillment of America ignoring the warnings from President Eisenhower. His warning of a military industrial complex taking control of the governance and using the government to their benefit without concern for the betterment of the people was likely ignored and soon forgotten and the monster grew to the point where it has enveloped much of industry and all of government. Their claim is that when they gain, the people gain, but from what we have witnessed, the people do not gain as much nor as fast thus allowing the elite from the industrial techno-military and dark programs complex to have also engulfed the media and academic worlds into a shadow government. This has been further enhanced by the machinations by the full array of management of numerous bureaucracies, virtual independent or mutually dependent fiefdoms, with their eternal demands for more financing to solve the problem they caused with their previous solutions leading to their never-ending cycles of demands. This has permitted the government to grow to the point where control became difficult and very soon thereafter moved far beyond any point where control was even remotely conceivable. This was greatly aided by the Congress being remiss in performing their Constitutionally defined duties and consecutive White Houses which permitted such delinquency in regard of the Constitution and singing incomplete legislation leading to an ever-growing government bureaucracy. The problem arose when the issues became more complicated, complex, technical and beyond the ability for the average member of Congress to get their arms around. This led to the forming and passing of legislation which did not set laws but rather set vague and generalized goals with the notation for the actual laws, in the form of regulations which Congress has assigned to have equal weight as a law, to be filled in by certain chosen departments within the government and often ending stating any other departments, as determined to be necessary. This permitted virtually every department within the government to make regulations and then set up the enforcement requirements within the agencies leading to the perpetual growth of the departments which for the bureaucracy which is the swamp President Trump alluded to draining. The unavoidable result of this system are the web of regulations which have already become almost innumerable in scope leading to regulations both requiring on one hand and forbidding on the other hand of acts, reportings, and other requirements such that nobody can comply with the entirety without potentially transgressing another regulation when complying with an original regulation. This is the perfect storm required for the government to be weaponized against the very people it was designed to protect. Anyone who owned a small business or even a Mom & Pop store realizes day in and day out trying to meet the regulations they know or have been advised to follow. When they are fortunate, the government leaves things at that, but should somebody decide to target such operations, they simply seek out some regulations, or some group of regulations, which can be applied to their business forcing them to attempt to keep abreast of these demands which can and likely will become overwhelming and often results in their business falling victim to over-regulation forcing them out of business. Moneyed interests can even twist laws to the point of breaking in order to gain their desired results. Such appeared to be the case in the “Kelo v. City of New London” which involved use of eminent domain to transfer land from one private owner to another private owner to further economic development. The Supreme Court decided five to four that the city had the right to force owners of private residences in an area where the city desired to place high-rise condos and a shopping mall had the right under eminent domain to force out the owners of homes, some had been family residences for generations, simply because the new development would provide greater revenue through taxes remitted and thus the development was in the best interest of the people which outweighed the property rights of individuals. Many were very upset with this decision as it put monetary concerns ahead of the individual and their rights. Now, any governing body can decide to take over any neighborhood if the planned replacement will be more profitable for the governing body, individual rights be damned. We hold out hope that in some future this decision will be overturned. This brings us to the Trump Wall along the Mexico-American border. The present fight, some might even say war, between President Trump and Congress over funding the wall reached a new plateau this week with the House of Representatives and the Senate both passing legislation voiding the State of Emergency declared by the President by which he could get the funding despite Congress. As should have been expected, President Trump used his veto and sent the legislation back to the House of Representatives so the Congress could work on procuring an override to the Presidential veto. It is almost a given that the proponents of this legislation will never be able to get the two-thirds vote necessary in both houses. Yes, there were twelve Senate Republicans who voted for this legislation yet it still only passed the Senate by a vote of 59-41, well short of the sixty-seven required for an override. The mere fact that twelve Senators from presumably Trump’s own party would cross over to rebuke him so flagrantly is simply further proof that the President is not supported by the mainstream of either party. President Trump is honestly the President without a party, he just borrowed one for the time being and many of those Republicans who see their control threatened are quite put out, one might even say they are furious. This veto will soon become another Trump derangement where it will advance their precious “Impeachment Clock” one more tic closer to toc. 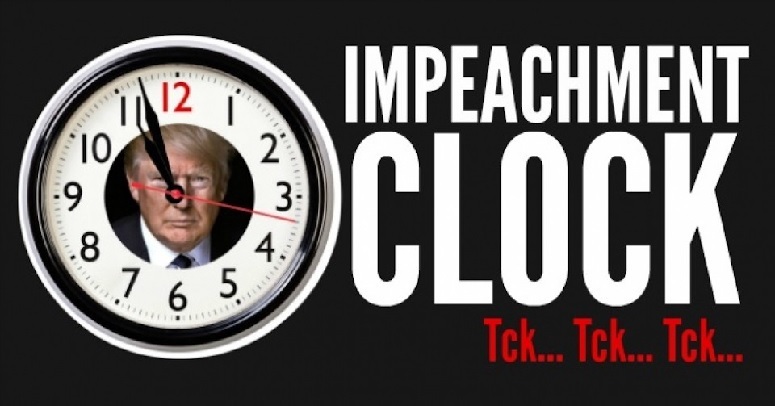 Thusfar, the “Impeachment Clock” has had an operational problem in that it continues to tic but cannot advance, as it is unable to find the required toc to complete the cycle and move ahead. Thus, the “Impeachment Clock” will forever be stuck at just under three minutes to eleven and never count on to high noon and an actual impeachment trial in the Senate. The wall along the border will possibly begin in fits and starts but will not be completed even should President Trump be reelected. The only way the wall gets built is if the United States can elect a new President who shares the vision of controlling the border but is at least measurably less contentious. As any Republican elected for the foreseeable future will be treated exactly as President Trump has been treated, the wall would require a Democrat to build it. Any Democrat attempting to build the wall will not see a second term as he will have alienated his entire base as “intersectionality” has a required position in favor of open borders, and as long as the left demands rigid obedience to their chosen mantras which include but are not limited to, open borders, Israel is racist, renewable energy over fossil fuels, free college, free healthcare, Israel committing genocide, Zionism is racism, global warming-climate change will destroy the world and a host of other items approved by the Social Democrat Party. The people behind these far left positions have taken control of the Democrat Party with the old-school Democrats hanging on for dear life hoping not to fall within the sights of these leftists and face a primary challenge. The new left has proven their ability to unseat even long-sitting representatives such as when Representative Joseph Crowley of New York, once seen as a possible successor to Nancy Pelosi as Democratic leader of the House, lost to Alexandria Ocasio-Cortez in a primary race. The Democrat Party will be facing an inevitable and inexorable slide to the far left and demands for making the United States into their idea of a socialist utopia. Unfortunately, there has never been a socialist utopia which incorporated a group larger than a community as socialism depends on the ability to shame those who demands more free things without toting their own share of the work required. Pure socialism worked in the Israeli Kibbutzim but Israel herself necessitated moving from a largely socialist governance to a more capitalistic governance where even the healthcare system, which covers everybody with a set minimal level of care, has four companies which offer the basic required plans as demanded by government and each adds their own flavor to that package plus offer higher degrees of care for additional process. Then there is the other story about the ills caused by collectivism in the Plymouth Colony and the “Third Thanksgiving” and how injecting a little ability for self-gain increased their work levels and productivity. We have often held that man is not a perfect being and some amount of greed is to be found in all people. This makes a system based on needs over production will always lead to an ever increasing list of demands over an ever shrinking productivity, which deems socialism to failure whenever people, and not ants or bees, are concerned. Meanwhile, in a more capitalist system those who have needs simply have to work smarter, harder or both in order to gain those needs. Not as obvious, if one can find the means for having others work and produce for them, they will gain even greater rewards. But socialism aside, since only a Republican President will favor building the Mexico Wall, and any Republican will face the level of hatred which President Trump faces, this may doom the wall to failure. 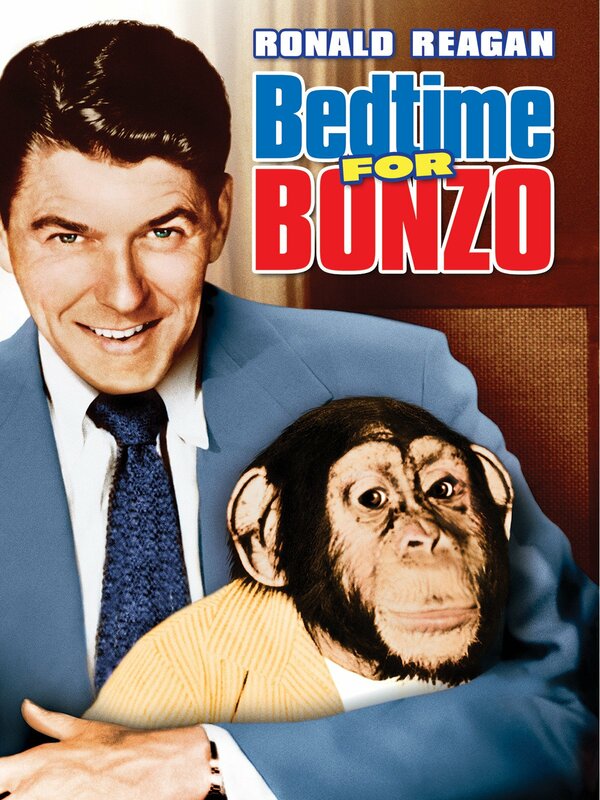 Those who desire claiming that President Trump is being treated differently than other Republicans must have missed out on Bush Derangement Syndrome during George W. Bush’s Presidency or have not been born or was not old enough to remember the taunts and insults hurled vindictively at President Ronald Reagan whose movie poster of him with the chimpanzee “Bonzo” claiming that he was second fiddle to a monkey, and they were not referring to the film. The wall is not going to be completed no matter the steps taken by the President and the swamp cannot be drained as it has reached a size beyond the human capacity to take down any faster than it was built, which is now approaching three-quarters of a century if we take President Eisenhower’s warning as the beginning of the problem. We can only hope that the swamp can be contained, then we can work at draining it. Until them, Americans can assist draining the swamp or enlarging the swamp, there is no neutral on this issue.